We’ve covered Audeara’s headphones on GNC before but they’re so interesting that they’re worth a second shout as it’s CES and all manner of advanced technology is on show. Audeara are the world’s first full fidelity headphones with an built-in hearing test to protect user’s ears and deliver a completely personalised listening experience. Everyone has a degree of hearing loss. Not just as a result of every loud gig they’ve been to, every busy street they’ve walked down, or every police siren that’s ever gone past but also damage can be sustained purely by listening to their headphones too loud. More and more young people have some loss of hearing, with an increasing number with the same hearing health usually associated with a 60 year old. Audeara headphones can be used to test and retest hearing over a lifetime and adapt music to the user’s individual needs. They make music better, not louder, and provide perfect sound as it’s personalised for each person’s hearing. The first time the headphones are worn, the user undertakes a hearing test – the results of which, are subsequently stored in the headphones themselves. The headphones use this hearing profile to adjust the sound signal as it passes through them. They adjust the right ear differently from the left, making sure each part of the signal reaches the user’s brain in a way that’s heard as a perfect reflection of the intended signal. 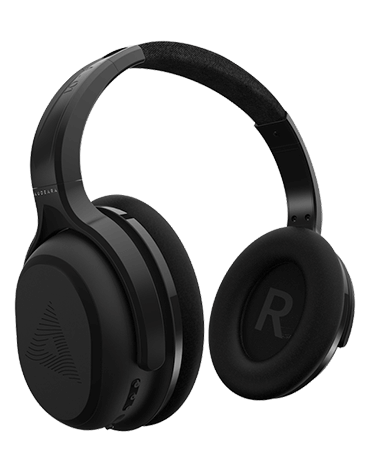 The A-01 headphones are on pre-sale for AU$399 (that’s Australian dollars) with delivery expected in February 2018. There’s video explaining the technology here. 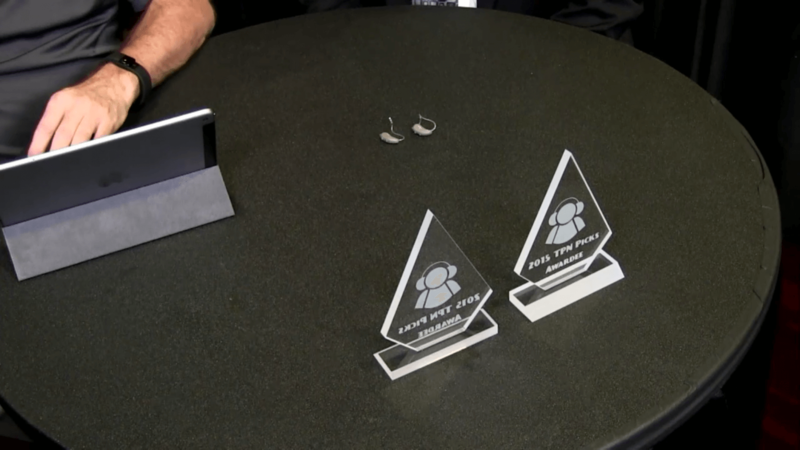 Launched at CES and a 2016 Innovation Awards Honoree, the Jacoti Hearing Suite is set of cloud-enabled mobile applications to help people with their hearing. 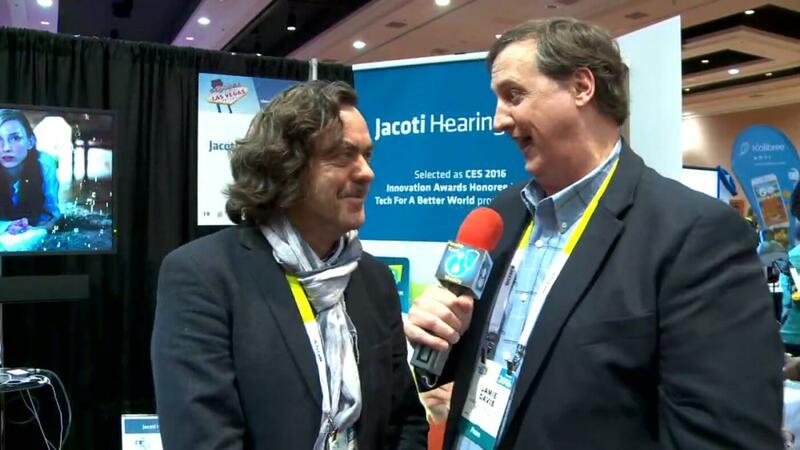 Jamie Davies hears more from Jacques Kinsbergen, CEO of Jacoti. 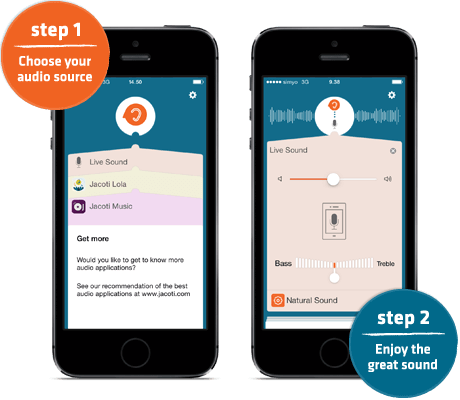 The Jacoti Hearing Suite app uses the owner’s smartphone for three key hearing services. First testing hearing, second working as a hearing aid and third providing assisted listening in difficult environments, such as meetings or churches. 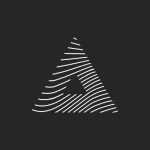 In addition, the app passes data to a cloud server, and under permission, this information can be shared with audio professionals. Currently the Hearing Suite app is iOS only but Android versions are expected in the next few months. It’s free to download. As people get older, one of the more common complaints is of hearing loss. Many of those getting older now have grown up with technology and expect more than brown lumps of plastic which simply won’t do in an Apple-designed world. Today’s hearing aids are small, discreet and smart. Todd hears about the latest products from Thomas Powers of Siemens Hearing Instruments. Siemens’ latest assistive hearing device is the Binex, which uses signal processing to help people in traditionally difficult listening environments, especially those where there’s a high level of background noise, such as restaurants or trade shows. The aid intelligently reacts to the noise, filtering out the unwanted sound while keeping nearby voices clear. Worn around the neck, the easyTek streams audio from a Bluetooth-connected device directly into the hearing aid so it’s great for listening to music from a smartphone or tablet. The easyTek can be controlled by the easyTek app for Android and iOS smartphones to discreetly adjust programmes and volume, listen at a preferred level without disturbing others or direct the microphone towards the next person at a restaurant. Available now, the smart hearing aids cost around $1500-$2000 which includes assessment and fitting. 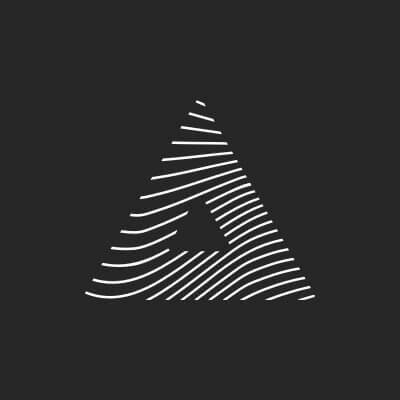 AblePlanet is an audio company that makes a lot of hearing hardware, aids, microphones and more. At this year’s Consumer Electronics Show in Las Vegas, the company showed off personal sound amplifiers — which is not, strictly speaking, a hearing aid, but more of a boost to sound that will help in environments where listing can be an issue. However, the new headphone line was the most interesting thing — the company claims that its headphones allow the customer to listen at a lower decibel rate than standard versions, meaning that the user is saving their hearing, or “improving health”. You will need to watch the video below to really understand how AblePlanet is making all this happen, but it is really fascinating technology. Surprisingly, one in five Americans over the age of 12 has hearing loss severe enough to affect communication and in over a third of the cases, the loss is from noise exposure, not age. ClearSounds produces a range of stylish products that help people overcome their hearing loss and communicate again. 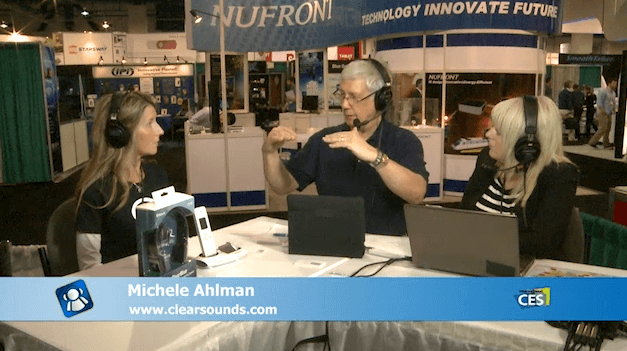 Andy and Courtney talk to company president, Michele Alman of ClearSounds. Suffering from a hearing loss is less about the physical impairment and more about the isolation and withdrawal that occurs when it becomes difficult to hear what’s going on. The problem doesn’t only affect the afflicted; friends and family stop calling and phoning because it’s simply too hard to have a conversation. In turn, the lack of contact leads people into depression. ClearSounds have a range of products aimed at remedying everyday situations – people with hearing loss want to use cool tech too. The ClearSounds i700 iCreations Phone is combination landline and iPhone dock. The enhanced handset combines a DECT cordless phone with a Bluetooth receiver so only one handset is needed to take both landline and mobile phone calls. For watching TV, the ClearBlue Bluetooth TV/Audio Listening System is a Bluetooth transmitter and headphones receiver. Rather than turning the TV volume up until it rocks the house, the headphones let the individual set the volume just right for them. Etymotic the company that pioneered in ear headphones in 1983, is attempting to solve this problem with the EB-series of electronic BlastPLG™ Earplugs which won a CES 2011 inovation award in the Health and Wellness Category There are two models of BlastPLG Earplugs, one the EB15 is for some one who is around constant loud noise such as heavy equipment or vehicles. The EB15 circuitry adapts to the environment to become a 15-dB earplug when the environmental noise could cause hearing damage. It then returns to natural hearing when the noise level is back to normal. The EB1 is for someone who maybe faced with a sudden loud noise such as a hunter, but otherwise is in a normal hearing environment. The EB15 has a MSRP of $499 a pair and the EB1 have a MSRP of $449 a pair. The idea behind both these models is to allow the user to hear normal sounds around them while protecting them from noise that may damage their hearing. Hopefully someone will use these earplugs and save their hearing, unfortunately hearing loss often happens over a long period of time and is often not noticed until it is almost too late.